How is the Congo Basin Affected by US Withdrawal from Paris Agreement? Forests are central to the Climate Change Agreement signed in December 2015 by more than 190 countries and so far ratified by about 140 countries. Article 5 of the Paris Agreement calls on countries to conserve and maintain forests as sinks. It recognizes the rights of indigenous peoples including those living in the Congo Basin. The Agreement contains language on Reducing Emissions from Deforestation and Forest Degradation (REDD+). It acknowledges a system where forested countries would be compensated in return for results towards forest conservation. It sets 2050 as the period when the world would see net zero emissions from the forest. With President Donald Trump announcing that the US IS pulling out of the agreement, what does this mean for the Congo Basin Parties of the Accord and the forest it harbors? The Congo Basin forests represent the world’s second largest contiguous rain forest after the Amazon. 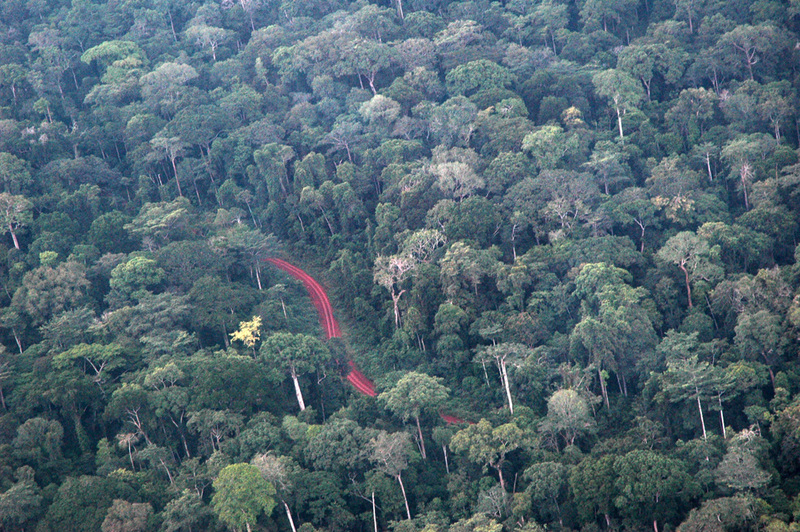 Approximately 25-30 million tons of carbon stocks are stored in the Congo Basin forests. On the financial side, this announcement will likely affect the projected funding support to countries harboring tropical forest. To what extent? This may not be known anytime soon. But what is certain is that the US provides substantial financial support to developing countries to mitigate and adapt to the effects of climate change. The US is also central to the technological support needed by developing countries to deal with climate change. “We foresee the end of deforestation between 2020 and 2030. But someone has to pay the DRC’s efforts to re-establish its forests,” said the DRC Minister of the Environment at the UN Climate Talks in Paris in 2015. This mirrors the expectations of countries in the region when it comes to international financial support to conserve the forest. This therefore suggest that without US support, we could see conservation efforts and policies in the region struggle in the months and years ahead.